Description: This detail of a map of Florida was "Entered according to Act of Congress in the year 1863 by A. J. Johnson in the clerks office of the District Court of the United States for the Southern District of New York." It shows Saint Johns County in color, towns, villages, county seats, forts, railroads, and roads. 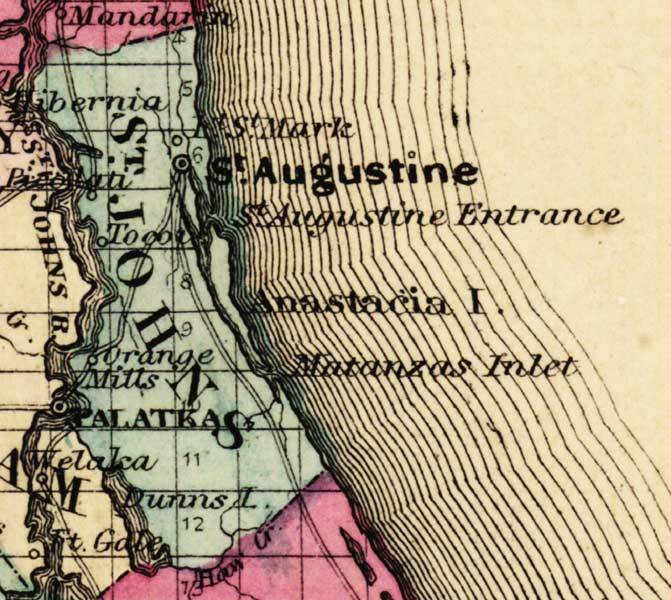 The main features of the detail are the Saint Johns River and Saint Augustine.